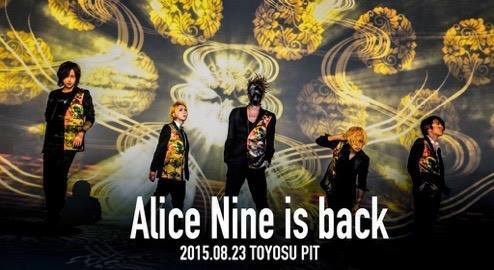 A9 will be coming back as Alice Nine!! On May 19th, Alice Nine released a teaser movie as an official announcement that A9 will be coming back as Alice Nine!! 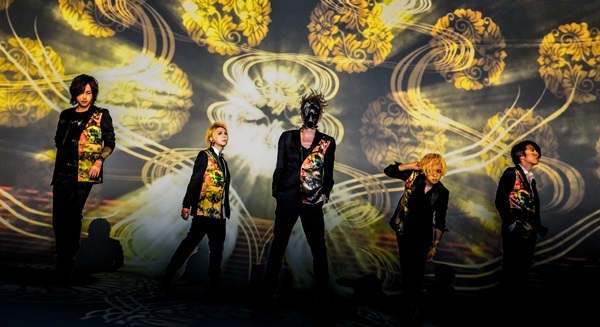 After restarting activity formerly under the name A9 and released the comeback MV “Phoenix” on March 1st, starting from August 23rd, A9 will once again beginning their activities as Alice Nine. It’s been exactly one year since their 10th Anniversary live “NEVER ENDING UNIVERSE” at FujiQ Highland Conifer Forest. It is officially revealed today through official website and also official youtube channel. 11 years ago -on May 19th, 2014- was the first time Alice Nine stood on stage as Alice Nine and so the announcement had been chosen to be revealed at the same moment. 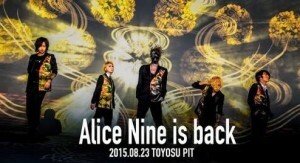 A9 will have a comeback live as Alice Nine on August 23rd, at Toyosu Pit Tokyo, which also will become Alice Nine 11th years Anniversary commemoration live as a band. For this anniversary commemoration, Alice Nine is going to sale a collaboration accessory with Velvet Lounge again, which is a fanclub (NUMBER SIX.) limited items. It will be make in a 2 color of pendant and 5 color of stones, in total 10 types which the fans can choose! This will be a memorable item of the 11th years anniversary for the fans from Alice Nine. More about Alice Nine, they will also embark with an Asia Tour this year! Details about Asia Tour will be announced in a later date.